Can the Mega Pack undo the damage from Showdown? After the mixed bag of mini-games we got in the form of Scribblenauts Showdown, it seems that the team listened to feedback and decided to port over Scribblenauts Unlimited and Scribblenauts Unmasked together as a bundle known as the Mega Pack. For a small price tag of £25, is it worth picking up? First of all, there is a ton of content here. Simply getting all the Starites will take a considerable amount of time in the first game, let alone with the DC spin-off Unmasked. For those who haven’t played a Scribblenauts game before, the premise is simple…you can write words in a notepad that will form an object in-game or even change characters by adding adjectives to their own description. 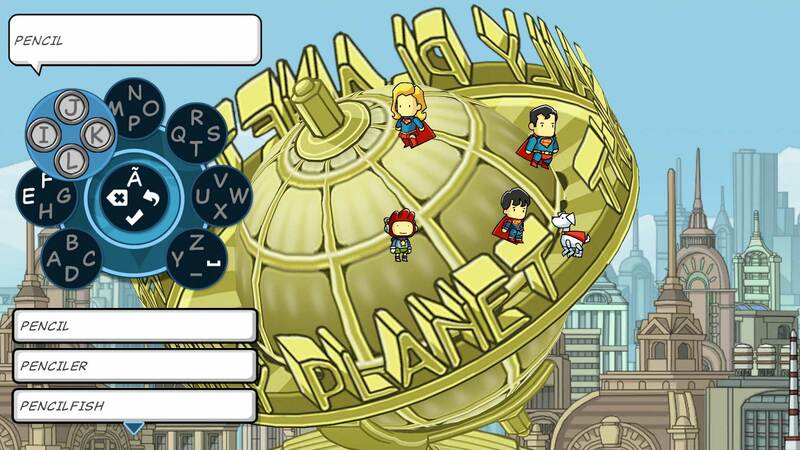 The game is built up into levels that will have people who need certain objects or problems resolved, which requires you to do some thinking as to what object will do the job, some will work while others will mess up the opportunity to gain other Starites, which will require a reset of the level to have another chance. Sometimes the solutions are baffling, like patching up a balloon with a piece of chewing gum as opposed to tape, patches or stickers. One mission that made me laugh was having to serve customers their requested meals and a cannibal walks in, so I create another waiter and served him and sure enough, he was gobbled up. Can’t say I was actually expecting that from what is clearly a game for younger gamers, but it still got me laughing. The visuals have a nice 2D animated style that is charming and matches the comic-nature of the games. The soundtrack is also pretty good too. 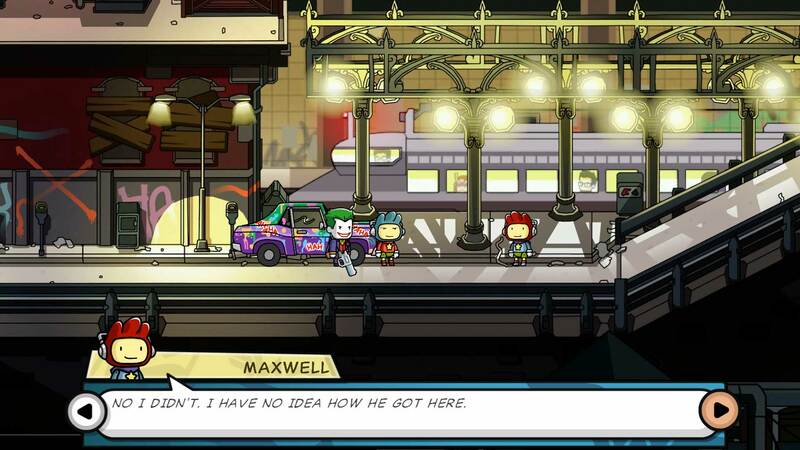 I never actually played the original games, so this was my first time in the Scribblenauts world other than Showdown, which was ultimately a letdown. The Mega Pack may be ports of old DS games, but with a massive amount of content and a naturally charming look to it, plus the small price tag, it’s definitely worth checking out.